Pharmaceutical companies spend billions marketing their products to healthcare professionals every year. 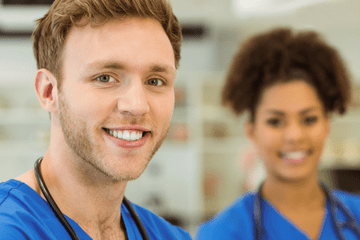 The practice, which includes journal and direct-to-consumer advertising, professional meetings and in-person and electronic sales calls to healthcare professionals (with free samples and gifts), influences how doctors and pharmacists prescribe and dispense medicines. Pharmaceutical marketing materials always present a company’s products as favourably as possible to generate sales. Healthcare professionals who use these materials may therefore make inappropriate treatment decisions for their patients based on hype, rather than facts. This harms patients and increases health care costs. Pharmaceutical marketing is also fuelling antibiotic resistance. The industry is promoting overuse and misuse of antibiotics for human and animal use—even offering financial incentives to prescribers and dispensers. This is dramatically reducing the effectiveness of antibiotics and rapidly increasing the global threat of antibiotic resistance. Health Action International presses governments to enact and enforce laws that stop pharmaceutical marketing and to implement standard treatment guidelines for medicines. 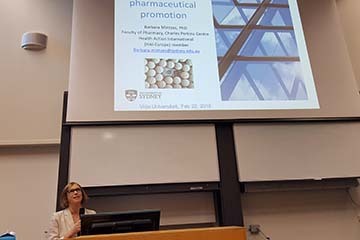 We also teach healthcare students and professionals about the dangerous impact that pharmaceutical marketing has on their prescribing and dispensing practices and strategies to use independent sources of information on medicines. Pharmaceutical marketing leads to less-than-optimal treatment for patients and increases healthcare costs. We’re teaching healthcare professionals how to understand and respond to it. How can countries figure out the extent and impact of their pharmaceutical marketing regulations? Our methodology can help. 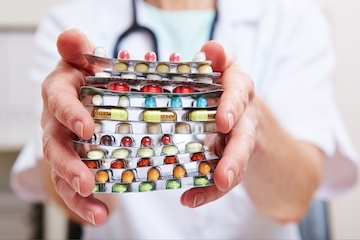 How does pharmaceutical marketing affect prescribing and dispensing decisions? Our workshops and webinars aim to answer this question and more.